Businesses are experiencing rapid and compounding energy cost increases. A flexible approach to energy is required to reduce costs: efficiency, "behind the meter" generation, cheaper and renewable fuels, energy storage, more energy from less fuel & optimisation of business processes such as increased utilisation of resources & automation. 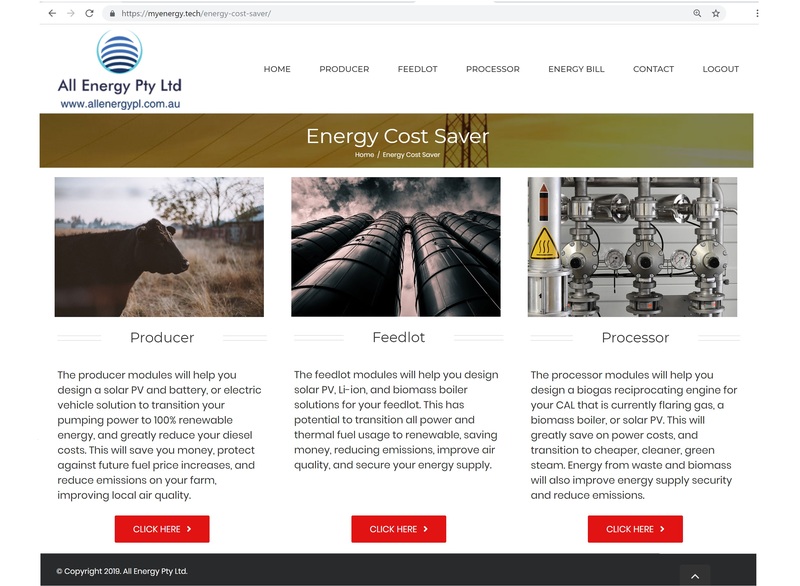 All Energy Pty Ltd will work with your business to reduce operating costs. This was a Meat & Livestock Australia (MLA) Donor Company funded project - acknowledgement is made of the matching funds provided by the Australian Government.